Inducement prizes – the old trick of offering cash rewards to motivate the attainment of targets — have become very popular in the last decade. Advocates argue that prize sponsors can effectively attract people to compete and solve a wide range of today’s challenges by setting an appropriate set of rules and offering a sizable cash purse. Moreover, some scholarly works have analyzed the potential advantages that prizes may have over more traditional incentives to promote science and technological innovation. Government agencies, companies and other non-profit organizations, then, look with much interest at this phenomenon and seek to implement their own prize competitions. But although these prizes have long been used and may have led to valuable discoveries and inventions, little empirical evidence has been around to fully understand how prizes work. My book “Technological Innovation and Prize Incentives” seeks to fill that knowledge gap and provides some answers to key questions such as the relative importance of the cash purse and other motivations to participate in prizes, the characteristics of research and development (R&D) activities induced by prizes, the characteristics of the technologies developed in prize competitions, and—more importantly—whether prizes spur innovation over and above what would have occurred anyway thanks to other traditional innovation incentives already in place. John Harrison invented the Marine Chronometer in the 18th century and won the £20,000 Longitude Prize from the British Parliament. My work on prizes drew on an empirical, multiple case-study, iterative research design to address those questions. First, I investigated two prize competitions or “grand challenges” that recently found a winner in the aerospace industry: the $10 million Ansari X Prize for the first private reusable manned spacecraft and the $2 million Northrop Grumman Lunar Lander Challenge for flights of reusable rocket-powered vehicles. Then, I used a unique opportunity to gather first-hand, real-time data and investigate an ongoing competition—the Google Lunar X Prize launched in 2007. This competition offers up to $30 million in prizes for the first team to complete a space mission that involves landing on the Moon, traveling a 500-meter distance on its surface, and broadcasting high-definition video back to Earth, before the end of 2015. My research involved the analysis of significant amounts of data collected on those prize competitions, their participants, and the context in which each prize takes place. Some key findings show the advantages of prizes as policy tools and also highlight potential issues that governments—or other prize sponsors—may face when using this kind of incentive mechanism. The motivations to enter prizes are as diverse as the individuals and teams that participate. Furthermore, the cash purse is not among the most important motivations to enter! Non-monetary incentives (e.g. prestige, visibility, opportunities to accomplish other goals) and the market value of the prize technologies strongly influence decisions on whether to enter a competition. More interestingly, prizes can attract unconventional entrants or individuals and organizations without experience in the development of the prize technologies and also many more volunteers, collaborators, and partners that participate indirectly. Prizes induce new R&D activities and re-direct ongoing industry projects that not only address the prize challenge but also target other technological goals. Some entrants, particularly those considered “unconventional”, may even contribute novel R&D approaches when they search technological solutions to win the prize or meet other goals. But, ultimately, the organization of prize R&D activities depends on factors such as the goals and skills of entrants and is only indirectly influenced by the competition rules. The lack of upfront funding (prize competitions generally pay cash purses to the winner only) creates a strong connection between prize R&D activities and the fundraising efforts of the participants. Significant funding requirements to carry out projects influence technology designs and bad economic conditions may slow down (or halt in some cases) R&D activities to find solutions to the prize challenge. In any case, since prize rules are generally open-ended and do not specify the kind of expected solutions, it is difficult to foresee what technologies prize entrants will ultimately work on. Well designed prizes can induce innovation over and above what would have occurred anyway, but their incentive effect depends significantly on the characteristics of the participants and the evolution of the economic and broader context of the competition. The ability of prizes to induce innovation is larger when there are larger prize incentives (particularly non-monetary ones), prize challenges that represent more significant technology gaps, and open-ended challenge definitions. Prizes may induce technological breakthroughs but some kind of up-front support for R&D activities may be needed. My book assesses the technologies developed by teams that participate in prizes and describes the forms of R&D organization and designs contributed by entrants. 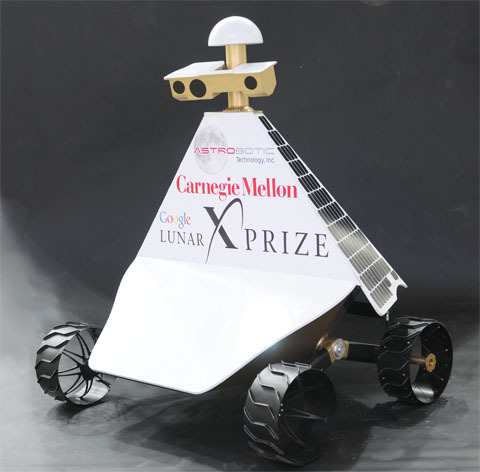 The most notable examples can be found in the ongoing Google Lunar X Prize. 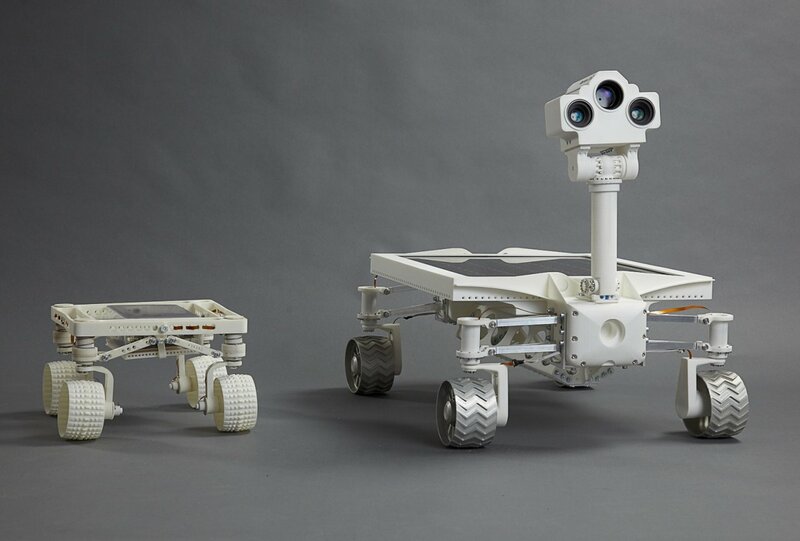 Participating teams and their partners generally focus their work on the development of lunar rovers and mission support technologies to complete their lunar mission. While there is evidence of new technologies developed at a range of maturity levels (from novel, experimental technologies to advances in already proven, flight ready technologies) the most significant innovations are observed in the form of improved versions of existing technologies and new mission approaches. The findings of my research have significant implications for prize design. Among the most interesting implications is that modern technology prizes (which systematically offer cash rewards equal to or below expected R&D costs) complement and do not replace patents and other traditional incentive mechanisms such as contracts and research grants. Indeed, the ability of entrants to draw on other incentive mechanisms helps them to raise funding and gather in-kind resources from industry and external sources, which is particularly important in a context of expensive projects undertaken by typically small, informal teams that do not receive any up-front support. Still, when appropriate incentives are offered, prizes can incentivize new discoveries, technology development, and even technology commercialization. They also attract new ideas and approaches from individuals and organizations not generally involved with the prize technologies, helping to raise awareness of science and technology issues and offering opportunities for training and education. Moreover, the larger the pool of knowledge and pre-existing technologies readily available to entrants to address the problem, the farther in the innovation pathway their projects can go. As a result, prizes that target new and experimental areas may need to provide some kind of up-front support and/or longer development lead times for entrants to be able to achieve the prize challenge. In effect, the potential of prizes to induce innovation is partly in their ability to tap into more widely distributed creativity and fresh ideas. A broader and more diverse participation also offers a valuable opportunity to compare R&D approaches and technologies side-by-side, regardless of the prize outcome. But all this is at the cost of higher programmatic risks. The R&D efforts of participants—sometimes organized as small, informal teams without much technical experience—may be inefficient and originate activity that ultimately does not result in the introduction of the most efficient and safest technologies or the dissemination of the most appropriate method to address certain technical problems. There also are limits to a widespread and routine use of prizes, and their effectiveness is likely to depend on the technological field prizes focus on. Challenge definitions that overlap—“duplicates”—and a handful of very popular prizes that catch the public’s attention may reduce the incentive power of other prizes. Moreover, although prizes may sustain R&D investment over time to address certain targets, the extent to which the prize mechanism depends on its broader industry and economic context and the fact that winning a prize generally does not represent a revenue stream over time suggest that prizes are not able to create markets by themselves, calling into question some ideas to use prizes with that purpose. Considering the lack of pre-existing empirical evidence, the very investigation of innovation prizes has been—and will continue to be, for some time—a significant challenge. My book provides some answers which help to better understand the prize phenomenon but still much systematic investigation of prizes needs to be done. The decision to investigate case studies that include an ongoing competition has been key to understand real motivations to enter prizes and gather real time data on R&D activities. Future research should consider this approach and complement it with new perspectives to the topic. My book also contributes a new innovation model applied to prizes which focuses on the competition and articulates internal and external factors that can explain the effect of prizes on innovation and other prize outcomes. This model may well prove to be very useful in future research. The range of data sources also increased the reliability of the research process. They included questionnaires applied to teams, interviews with participants and industry and prize experts, direct observation of the activity of participants, and the analysis of documentary sources. Such a set of data gathering sources and instruments, however, leads to more complex research designs and costly projects that require appropriate support for their completion.